You and your compassionate friends! A super summer party with spectacular food, cool beverages, entertainment, and fun! To kick off our IndieGoGo Generosity online fundraising campaign! 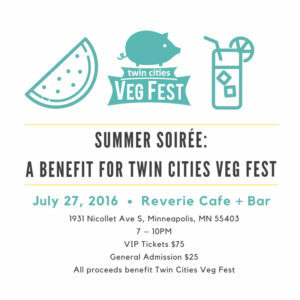 You already know Twin Cities Veg Fest is a not-to-be-missed tradition! This year’s Twin Cities Veg Fest (October 29-30 at Coffman Memorial Union) is not just one, but two days of fun, including vegan food samples, food giveaways, food demos, and did we mention vegan food? Two days means twice the cost to us, but we want keep it a free event for the community, which is where you come in! 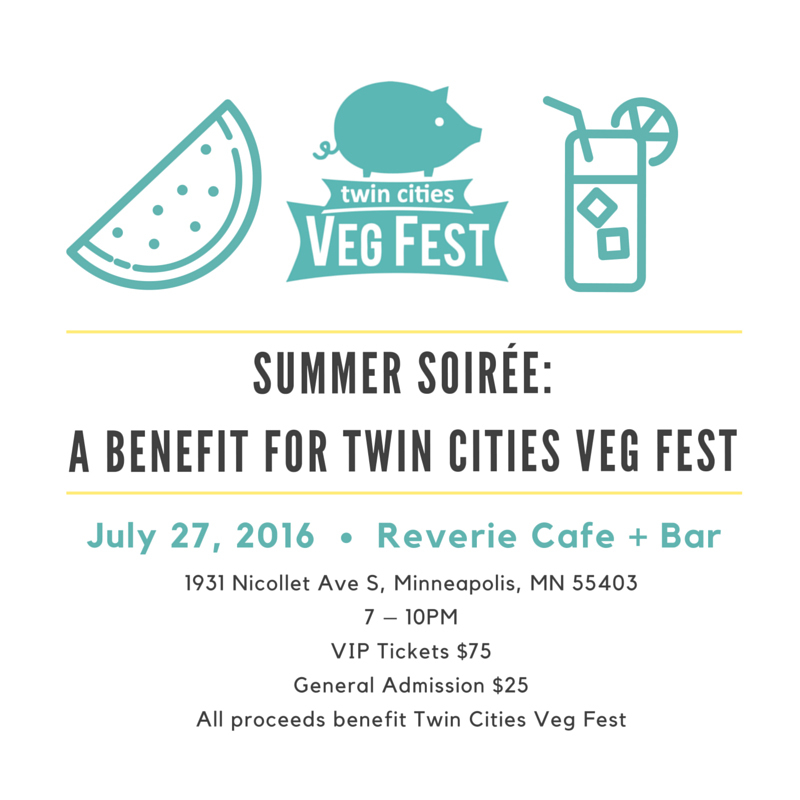 Seriously, what better way to raise funds for the 2016 Twin Cities Veg Fest than with a party?! More details to come, but buy your tickets early; tickets are limited! We need six volunteers for this event. As a volunteer you get to have all of this delicious food for free! Email Sal if you’d like to volunteer.